Find below the list of top schools in Sanawadia - Indore with phone number, address, 360° School tours, 2018-19 Admission forms & Fees, photos, facilities & more. Shri Shri Ravi Shankar Vidya Mandir is located in Sanawadia, Indore. It was established in 2008. This school follows the CBSE board. The school has English medium. IATV Educational Academy is located in Sanawadia, Indore. It was established in 2001. This school follows the CBSE board. The school has English medium. 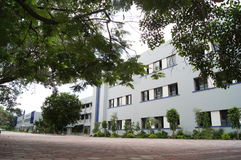 Carmel Convent Higher Secondary School is located in Kasturbagram, Indore. It was established in 2005. This school follows the CBSE board. The school has English medium. Guru Harkrishan Public School is located in Khandwa Road, Indore. It was established in 1985. This school follows the CBSE board. The school has English medium. Standard Public School is located in Khandwa Road, Indore. It was established in 2003. This school follows the CBSE board. The school has English medium. 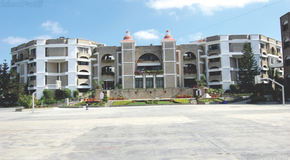 The Millennium School Indore is located in Tehsil, Indore. It was established in 2011. This school follows the CBSE board. The school has English medium. The New Digamber Public School is located in Khandwa Road, Indore. It was established in 1995. This school follows the CBSE board. The school has English medium. IMPERIAL ACADEMY came into being on July11, 1988, founded by Ms. and Mr. B.S. Luthra. Imperial Academy is managed by a corporate body M/S Doris Educational and Commercial Services Pvt. Ltd. and by Malwa Educational Services Society (Regd). 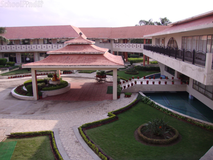 Imperial Academy is spread over 5 acres of land with all Airconditioned class rooms and buses. 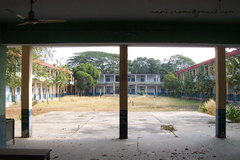 The main building which houses the administrative block, Secondary and senior secondary school along with the auditorium to accommodate a large strength with a unique architectural design, keeping in view the modern essential requirements of the school. The second block comprises of the primary and the pre-primary section along with the dinning halls/canteen which boast of hot vegetarian snacks and lunch supervised by our efficient kitchen staff. The school has two large well maintained play fields with the facilities for all kinds of sports activities. Are you worried about your child's admission to a school? 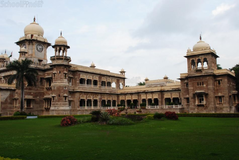 Worried about interviews in the best schools in Sanawadia - Indore? All it takes is a little bit of planning and going for a lot of options, which can be found on Sqoolz's list of best schools in Sanawadia - Indore. 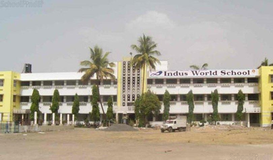 The top schools in Sanawadia - Indore are registered with us. Find all their details - location, address, fee structure, facilities and more! Also take our virtual tour, a feature that gives almost a first-hand experience to parents.